Great article. Those impulse moves are the kicker right? I have been thinking about a house cat and how nice it would be to have it on my lap in the evenings. Then I started thinking about litter boxes, allergens and whether the cat would even like lap sitting. Other decisions also don't seem to make sense like milking goats when I can buy milk for 69 cents per gallon. But being an empty nester, all the work is worth it for me to care for the animals and feeling more self-sufficient. Great answer! Milking goats versus buying cheap milk is a good example of non-monetary benefits which people often overlook. The doing for ourselves and feeling more self-sufficient is priceless. Well then, there are more benefits to having the pond than just the fish! I agree that things have to be sensible without being religiously dictated by cost. Oftentimes, however, it's hard to tell all that beforehand. I guess in our household, we don't often calculate the expense to see if something is worth it financially. I'm sure a lot of that has to do with perhaps relative incomes. However, we do figure if something is worth it to us in terms of will we use it enough, will we get joy from it, will it allow us to do other things that we enjoy more, etc. Those questions are often very hard to put a financial price onto. A lot of that really has to do with our lifestyle. We aren't big consumers and we don't buy expensive things, especially compared to most of our peers. We spent many years saving so that when we got to this point in our lives, we don't have to worry so much about the financial aspects of every project. We do a lot of need vs want analysis here. Very well stated, Leigh. The two biggies that jump out as I think about all this . . . 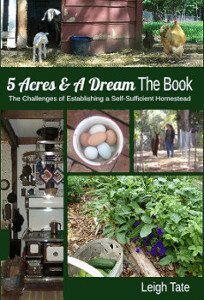 When we first started homesteading (with absolutely no money), we operated (for years . . . too many years) under the false assumption that all we had to do to become set-up, self-sufficient, successful, etc. was to work harder. As we became more financially stable, we were still very hesitant to spend money (or hire an "expert") when we could do it ourselves. False reasoning in the long run. Looking back, we can see we used false economy (in time mostly) by slogging through all we did ourselves. But I'm sure that happens a lot when one doesn't have unlimited cash to spend! I'm working on convincing hubby that it's okay to pay someone to help us or to do the job if it A: turns out better than what we would have cobbled together B: keeps us from killing each other C: is worth us not having to do all the physical stuff. Joy counts for a lot but so does contentment. You mention lifestyle and I think that's key. My mother was a compulsive spender and one thing I noticed was that spending for spending's sake never made her happy. Have you figured out how to tell the difference! That's tough sometimes. Interesting observations, Mama Pea, but I do understand the idealism, having been there myself. I guess that's where experience helps, and I'm glad you didn't throw your hands up and say it can't be done. Learning to adapt to our circumstances is a must too. We struggle with hiring things out too. What hasn't helped for us, has been the poor workmanship (and poor work ethic) we've encountered on many of the jobs we've hired others to do. Guys, correct me if I'm wrong, but for me I think there's self-image involved here and perhaps one of those false assumptions Mama Pea is talking about. We all sometimes tend to think it's a reflection on our own ability (or inability) and that can be a tough pill to swallow, whether it's true or not! Time to benefit ratio? I recently had a project, which initially went 2 weeks longer than expected, then another month on top of that. Yes, our rainwater tank installation. Many a time, we asked ourselves, could we be doing something better with our time? Should we hire equipment? At the end of the day, the answer always was: it takes as long as it takes to do it right, not on time. We wanted the time to go quicker, but we had to accept that process was more important. We would regret rushing things or taking short-cuts. If you give yourself permission to take extra time, its amazing the difference it makes. My guide now, as to when a project is worth pursuing, is if it meets more than one purpose. If it connects to something pre-existing, or stands to improve something pre-existing, then it's worth investing energy and resources into. I like to find at least 2, if not more, connections, to justify a move to implementation. Cost:Benefit ratios were a stable part of my previous life. Whether that cost be in terms of money or time often depends on your circumstances. But I believe there is another aspect to this decision matrix - how enjoyable is the project itself. We do many things that would be less expensive to hire out simply because we enjoy the process. And perhaps to self-justify that philosophy, we can apply any money we save on those projects to the ones that are terribly hard, filthy, or unpleasant to do. I imagine that fits in with your personal benefit category - satisfaction not just in the outcome but in the steps it takes to get there. This topic raises the hair on the back of my neck! When I was working in the oil and gas business, one of the things I got "tasked" with periodically was a "cost to benefit" analysis. Ugh! What a interesting idea we are discussing here! It seems like as homesteaders we have to defend our reasoning for doing something the "harder" way. If one more person comes over to the farm and comments that you can buy milk for cheaper than it is costing us to keep goats I'm going to scream! We spend so much of our time in the "homemade is better" mindset that I have missed thinking about other solutions. We've been trying to cut, rake, and store one acre of hay by hand for the past few years (notice the word trying!). We have a friend who has more land than we do and all the equipment to hay so we've struck on the idea of trading our pork for his hay. It's been a win win and now I get to have a cow on the acre of pasture to boot! Instead of do it yourself or pay someone else we love the idea of trading for what you need. This barter idea has worked in some strange ways for us but it does work! We share a cell phone plan with another family to cut costs and again pay our share in pork. We've gotta be one of the few people in America doing this! Been ruminating on this for a couple of days. I think we all make "bad" purchases at one time or the other. Or choices or method of accomplishing what we thought we needed or wanted or both. I think males and females often times evaluate things from totally different perspectives. 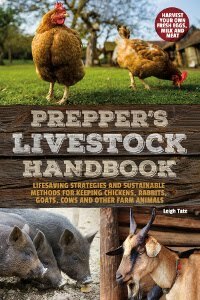 In my homesteading life (including from when we lived in a track house with a large yard ) a lot of things didn't work out as we would have liked. But is it a total waste if we learn from it? Recognize we did it and own it? I look back on how we did things with the goats and see a good deal of things I would now do differently. I think part of the journey good , bad or indifferent is knowing it is the journey that brings us to where we are now . I love the barter system. I have always truly felt that if we had a barter system in place for those who wanted to do it we would be a completely different society. In my opinion people are more likely to value each other if we can each supply what the other needs. I know I value the raw cow milk I get when my does are dry getting it from a person I know, see weekly and appreciate. Seems that if we go down to the mega mart and purchase the milk from a case in the back of the store (so you walk by everything else on the way and they bank on impulse buying)and have no contact with the dairy person, the cow who produces it we just get further alienated from our food source. In closing my rambling here it just important to not repeat something that didn't pan out. Analyze what went wrong and how it can be prevented. Clear as mud? Well it is raining again! Especially with 2 young kids and very little free time I end up carefully picking and choosing what gets done, and what can slide. I often think of the 80/20 rule (roughly 80% of the effects come from 20% of the causes). Chris, one thing that comes to mind as I read your comment, is the concept of priorities. Those of us wanting to live close to the land have different priorities than say, those who are working toward fun and leisure. Water is fundamental, so you're right, it doesn't matter what it takes - it has to be done right. Someone content in suburbia would think, so what, just turn on the faucet. I like your idea of connectedness. Things have to relate and the parts need to function as a whole. That's a concept I'm working on for our homestead too. Well, I don't think that needs justifying! I think there is a tremendous sense of fulfillment in doing something yourself. Not everyone has the same skills, for sure, but even the learning curve can be fulfilling. Sometimes when we discuss buying tools, the go-ahead factor is that we'll get future use out of it. Being able to do our own problem solving and implement our own solutions is priceless. I'm guessing that the "benefit" in that business analysis was all about profit! That's sometimes a hard mindset to shake, but understanding that there are other non-monetary benefits is important. And as Goatldi points out a few comments below, sometimes it's the learning that's priceless. Great bartering! And you're right, it can open up so many possibilities. Your comment brings something else to mind, and that's keeping things manageable. That's something we think about a lot, how to keep our lifestyle and goals manageable for just the two of us. Hay is a good example. We started out scything our hay, but when I bought a walk-behind sickle mower, we both agreed is was an excellent investment! On the other hand, we find higher tech tools come with a temptation to want to do more, have more. Learning to be content and keep things manageable is really important to me. I definitely agree about the value of learning, and I do notice that Dan and I process our "failures" differently. Being older doesn't help. I know for him especially he wants to get to a certain point where the "heavy" projects (building, etc) are behind us so we can get on with the routine of our chosen lifestyle. Young children definitely factor in hugely! I remember how hard it was to have dreams and interests, yet not lose sight of the fact that I only had them for awhile; to not lose myself to what I wanted but to remember to treasure them while I had them. As you say, it came to picking and choosing carefully. I've never regretted that. The Wood Storage boxes that I welded are a case such as this. I am not the world's best welder, but I got better on the project. It took two sessions of the class to weld them up, the cost of the steel and my time adds up to a pretty hefty amount. The emotional aspect of them being EXACTLY what I want, doing EXACTLY what I want (and more as they block the lights from the neighbor's house), EXACTLY where I want is immeasurable. We are blessed with both the proper amount of disposable income to allow it and my time to make them. The small things I do around here that I do myself still seem to be worth it for the satisfaction of doing it myself and not having to ask for help. We are finding that my physical condition has made us drop certain projects and hire out because I can't do things that weigh over 20 pounds. What on a farm DOESN'T weigh over 20 pounds?